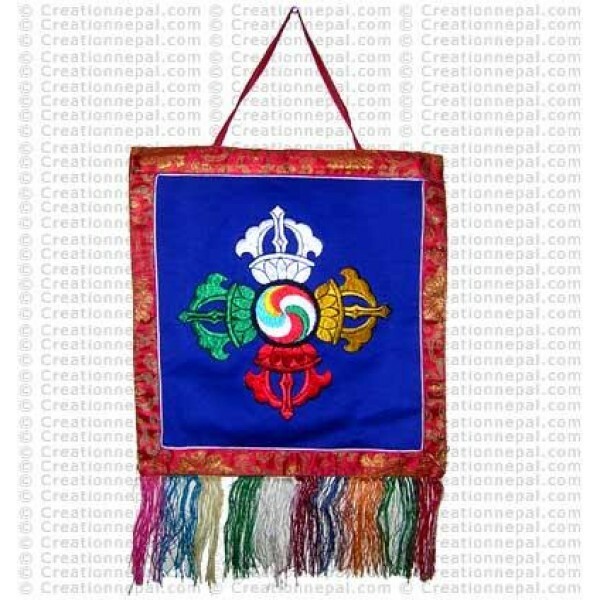 Embroidered Dorje (vajra) decorated in brocade. The products are available in assorted colors. Since the product is handmade; there can be slight difference in sizes and colors.